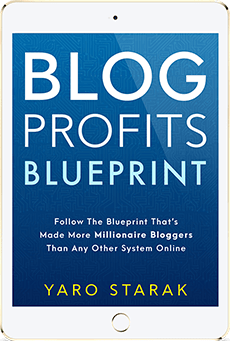 Inside the Blog Profits Blueprint I talk about a key distinction, the difference between strategies and tactics when it comes to online marketing and building a blog-based business. Strategies are in place to educate your mind about why things happen. Strategy helps you understand outcomes and helps predict future outcomes as a result of particular actions. Tactics are steps you take – actions – to achieve outcomes. Most of the tactics in this book are processes and techniques you implement through your blog that lead to making money, either directly or indirectly. Many Internet marketers, especially those looking to make a quick buck, focus on tactics and forget about the strategy. They want to do something and then see the money come back, rather than understand the system and psychology that attracts a customer and converts a sale. This kind of motivation results in very short-term gains, if any, because there is no long-term planning, no asset-creation, or customer retention strategies. There’s no sales funnel, or point of differentiation to separate the business from other offers. There really isn’t a business, just a collection of techniques that are haphazardly thrown out there. I’m all for taking action quickly and testing ideas, but if you’re not thinking beyond that, even if you do succeed you won’t know what to do next. Success can turn to failure in a blink of an eye when you don’t understand why what you are doing is working and how to build upon it. Over the years, I’ve discussed customer psychology through various articles (such as The Why Train Technique and How Well Do You Know Your Customer), and I’ve explained how critical it is that you understand, on many levels, what your customer wants, the emotions behind that desire and the real world tangible changes they want to experience as a result of fulfilling their need. What do you want your business to do for your life and how can this happen? What roles do you want to perform in the business? What strategy are you going to follow to make it happen? What is your vision for the future? Clarity is critical. There is a hierarchy of deep understandings you need to break down as you build your business, and it begins before you do anything. Here’s the structure you can follow. Note that each element is derived from the previous element. You shouldn’t be afraid to change these things as you go along as they will need constant refinement as you learn more about yourself, your customer and your market. Vision: The vision is the big picture. It defines everything from the top down. It tells you why you are doing what you do every day in your business. It’s the destination on the roadmap to creating the business of your dreams. Strategies: Once you know what your customer wants, you formulate a strategy to fulfill that need. Strategies are processes based on proven concepts that you know work. A strategy is a map of how to get to your vision. Tactics: The tactics are the steps you take to implement the strategy. Its what you do every day in practical, real-world actions, that lead to tangible results. Tactics are the steps you take to follow the map that leads to your destination. Successfully implement tactics and you will execute your strategy. When all your strategies are complete, you will have reached your vision. To make this tangible, let’s look at a basic example to help understand the interconnection between your customer psychology, your strategies and tactics. Let’s say you’ve studied your customer. You know the one specific tangible result they want the most, which you plan to help them achieve, is to give up smoking because they want to be able to play with their kids at the park without being out of breath. You have a special process combining some NLP exercises people can do to stop the mental addiction, and some natural herbs to reduce the impact of the physical addiction. Your strategy is to create a blog and email list to specifically sell this process as a package, which is sent in the form of online educational videos and the natural herbs via mail. Here’s what we need to know. 1. How to sell to this customer group. We need to know the language to use, what sort of offer to make, what specific information people in this market look for and where they currently find it. The customer psychology tells us these things. 2. What strategy to implement to sell our product. We know a blog and an email list can help us reach our target customer group, but before we can successfully execute this strategy, we need to know exactly how it works and why it works. If you don’t know how all the pieces fit together, then you don’t understand the strategy. In other words – do you understand how the blog gets traffic? Do you know how to get people on to the email list and what emails to send? Do you know how these tools can sell the product? …and countless other questions like this. Most of these questions can be answered through research. My flagship course covers much of this (Blog Mastermind), however, the answers are also buried in the archives of the blog you are reading now, and countless other blogs and internet marketing products and resources out there. You can also learn through trial and error. 3. What tactics we need to implement to realize the strategy. Once we know the concept behind how a blog and email list can help us sell our product, we need to make it a reality by taking action steps. In one of the articles I wrote about customer psychology, I took you through a basic questioning process you can ask about your customer in order to break down the core motivations behind their behavior, as it relates to their need your business fulfills. The key word in this process is “why“. “Why” is the most important question to ask yourself when it comes to deciding on strategies and tactics for your business too. If you don’t understand why you’re doing what you’re doing, then you’re missing pieces of the puzzle. When you have clarity on why you are making the decisions you make, choosing certain strategies and executing the tactics to get you there, you understand what is supposed to happen. This is incredibly powerful because it means you have the necessary awareness to adjust and respond based on the results you get. If you don’t know why you are doing something, then you don’t understand how it connects to the next step, or possibly even what the next step is. Then there’s the step after that, and the one after that, all leading to the outcome you desire. The more ambiguous you are about what you are doing, the more mistakes you make, the longer it takes to get the outcome you want, and the harder everything is. Most people give up before they succeed because they don’t understand how what they are doing really works. Once you know the path and experience it, then your confidence soars and you don’t give up prematurely. Doing is born from knowing, and although experience trumps everything (which is why you should always focus on action), if your actions aren’t coming from some form of knowledge based on your customer psychology, proven strategies and tested tactics, you’re going to walk into closed doors rather than through open ones. I remember a time when I was helping my mother learn how to do basic things with WordPress and AWeber, so she could publish blog posts and send emails to her list (she ran a Brisbane counseling service). She had been typing up her articles in the word processor in Open Office, copy and pasting them into the WordPress editor, and then publishing them. Many times she had to learn new skills, like adding hyperlinks, or changing the format of text. Needless to say, my mother was not a tech person and wasn’t what you’d call a natural computer user. She was capable of learning, it just took some practice to get there (which required some serious patience on my part!). Watching my mother learn how to do these things was interesting for me because I could observe her struggles and how she overcame them. My mother took notes down, writing steps to repeat what she would do in the future. I noticed that by doing this, she didn’t learn nearly as quickly because it was more about rote memorization, rather than real skill acquisition. She was copying down what she did, then looking at her notes to repeat it when she needed to. The problem with this method was that she never understood why she needed to do what she needed to do. Each time she faced a problem she had to find the notes to match that problem. This meant that she didn’t see the process from start to finish or how the tools worked to help her realize what she was trying to achieve. To help her I told her to stop using the notes and instead when faced with a problem (like needing to make a hyperlink in her article) to ask herself why she was doing what she was doing and how the tools could make it happen. Simple things, like understanding the difference between a live blog post and the editing screen in the back-end of WordPress, was challenging for her, as was understanding how to get the URL of the page she wanted the hyperlink to point to. With some practice came familiarity with the tools, giving her the necessary awareness to not rely on notes. Then, each time she was stuck, I asked her – why are you on the page you are on now? After asking herself that question, she realized, slowly, that the editing page was for editing, the live window was for viewing and testing changes on the live blog, and that she needed to go to a browser window and find the URL of the page she wanted to link to. She came to understand how the tools worked, and what the outcome was of doing things. Then, when facing a problem, she could ask herself why she wanted to do what she wanted to do, then determine which tools to use to make it happen. This may seem like a basic example, but it’s representative of the importance of understanding why you are doing what you do, at all levels of your business. Why is what you are doing or about to do important? How does it fit into your strategy and vision? Do you even have them? Does the tactic you are applying make sense to apply right now given your objectives? “Why” is a fantastic question to ask if you want clarity. A lack of clarity is possibly the most common cause of failure, so becoming comfortable with challenging yourself to know more about your customer and what you are doing is a smart idea. If you ever need help, grab a friend or colleague, show them what you are doing or explain what you are going to do, and have them ask you why. Tell them to keep asking you why until they understand. Forcing yourself to explain what you do to other people is one of the best ways to gain clarity, or at least point out where you lack clarity. If you can’t explain it to other people, how are you going to understand what and why you are doing to the person who matters most – yourself? P.S. Like most entrepreneurs, you probably have a strong vision. A vision of why you do what you want to do, and the type of impact you have on others. But, if you’re like me in my earlier days, chances are you’re getting lost in the strategies and tactics of business, especially when there are so many different ways you can get your business off the ground. If that’s you, I’d like to invite you to join my live webinar. I call it the ‘Platform Launch Plan’ and it’s 100% free to attend. I’ll be outlining the exact formula that’s worked consistently for me as well as my students so you can understand WHY you’re doing what you’re doing from start to finish. I want to help you live the laptop lifestyle by sharing your knowledge with the world! I loved this and will be referring back to it again. It’s so easy to get busy with the “what” and forget to ask ourselves “why.” Thanks for putting this so clearly here! Awesome article Yaro. I can totally resonate with you and your mom when she was first getting used of using a computer & online. I also really like SMART goals, which might be considered a hybrid of goals and tactics. They align with where you need to go and help you explain how you’re going to get there. This is especially important in the constant thrust to innovate and grow. All to avoid being Comfortably Profitable. Thanks for post! it was gladness to read your blog and view . this is helping me and all readers. Over 150,000 people have already downloaded it!